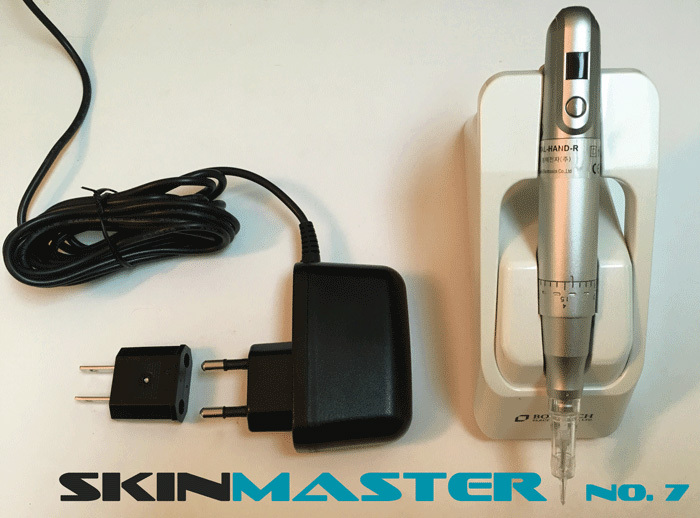 SkinMaster Digital Pro is an advanced microneedle device. It's recommended for busy practices and has a durable aluminum alloy casing. 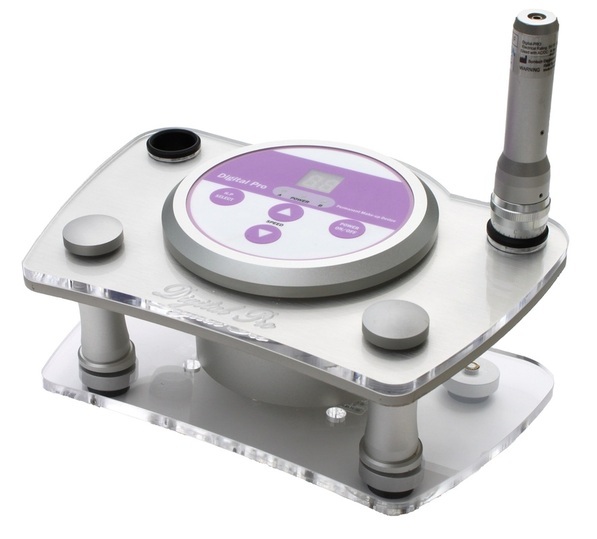 It is a ten speed digital control system that can be used for both face and body treatments. Now you can do two jobs with one machine. It's true! Hygienic digital cartridges for Permanent Makeup AND Microneedling. Patent Pending on backflow prevention design. Powerful, 10 Speed Unit adjusts for every job. This Unit is the top of the line. What do you get when you combine precision control, silent beauty and proven safety with the most powerful yet gentle color delivery system? BOOM! Skinmaster Duet. So... this is my SkinMaster story... I put in a wide eyeliner and then did a smokey eye above that. I am thinking I have a really good client here, she isn't swelling. I fininshed both eyes with the black thick liner and the blue smokey eye and there it was. She didn't swell or bleed and it did not hurt or tickle. My second client comes in and she too wanted eyeliner, smokey and brows. Well same thing. Numbed and started and no swelling, bleeding, tickling and smooth easy working. I am thinking, wow! some needles. So on both ladies I did their brows with hair strokes #1 needle. Again no agitation, hairstrokes went in so easy! I am just a little shocked because I couldn't believe I could do an eyeliner and smokey at the same time. Because of the way the eyeliner went in so smooth and made wings I tried the smokey blue color. WoW, I am still in shock. 1. 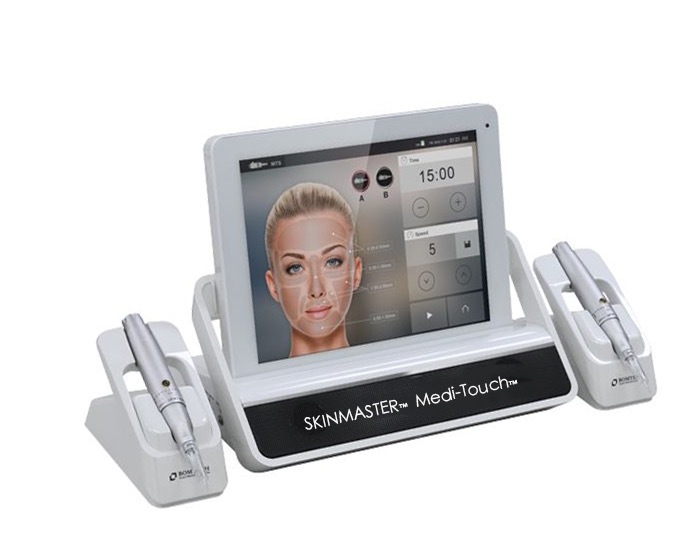 You will love the Skinmaster family of machines. Let's talk about Duet, the Skinmaster CORDLESS Freedom model. Here you see it in it's cradle that turns it on and off automatically. The cord is optional and can be used to charge the battery or to run the machine. The battery lasts 4 hours on slow speeds and 2 hours on high speeds. Charge until "green light" comes on, then remove. Do not leave on charger overnight. 2. 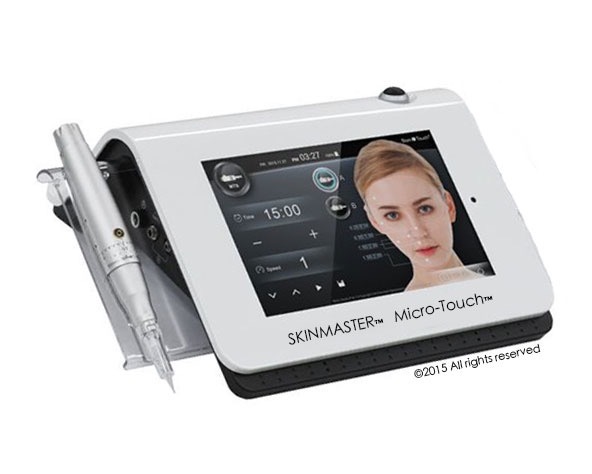 Do BOTH Microneedling and Permanent Makeup with all of the Skinmaster Machines. 3. BACKFLOW PROTECTION: The cartridges have a patent pending on the backflow prevention sleeve. This gives your client the protection they deserve. 4. Seven needle cartridges are available for your Skinmaster. Needle sizes: 1,3,5 point round, 4,6 flat for permanent makeup and 12 point for Microneedling. 5. You can DIAL YOUR DEPTH for the needles right on the handle. You'll soon learn what your favorite needle depths are. The range designed is from 0-2.0mm needle depth. You'll use .75-1.0mm a lot for both permanent makeup and microneedling. I put it out a tad more for wrinkles. 6. Choose your speed: 1-5 for most models and 10 for the Skinmaster 10. The cartridges are the same for all the Skinmaster units. Whisper silent. A superb investment. All SkinMaster needles listed below fit on this machine. 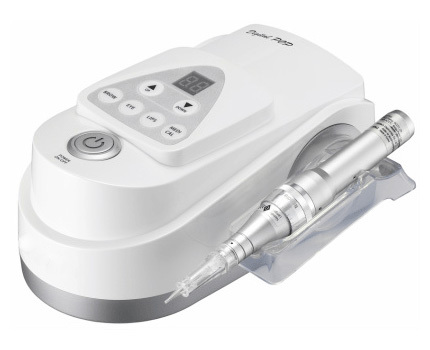 You'll love the power, precision and safety of this Skinmaster 5 handpiece. 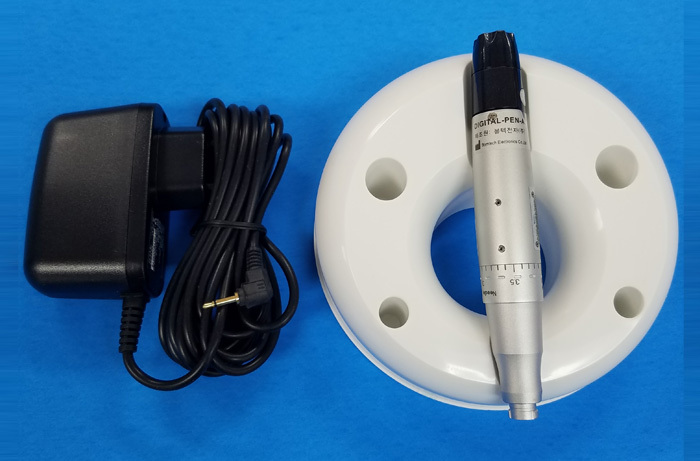 Dial-a-depth needles and 5 power settings. Use any of the patented cartridges with visible protection from backflow built in. The world is at your fingertips with the Skinmaster 10 DELUXE. Literally. Just press a button and you'll adjust speed. Twist the dial on the handpiece and adjust the needle depth. Power and Precision are combined in this digital machine that is 2-for-1 in function. The new Skinmaster 7 comes with these components in the box. 1. 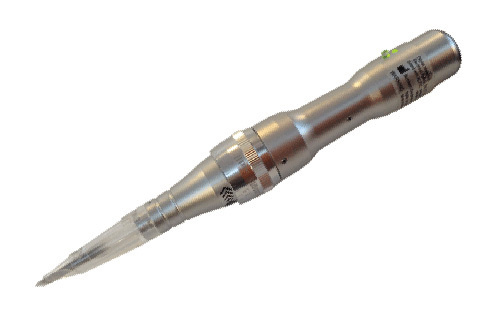 Digital handpiece with LED Readout above the On/Off Switch and Speed Control Button. 2. 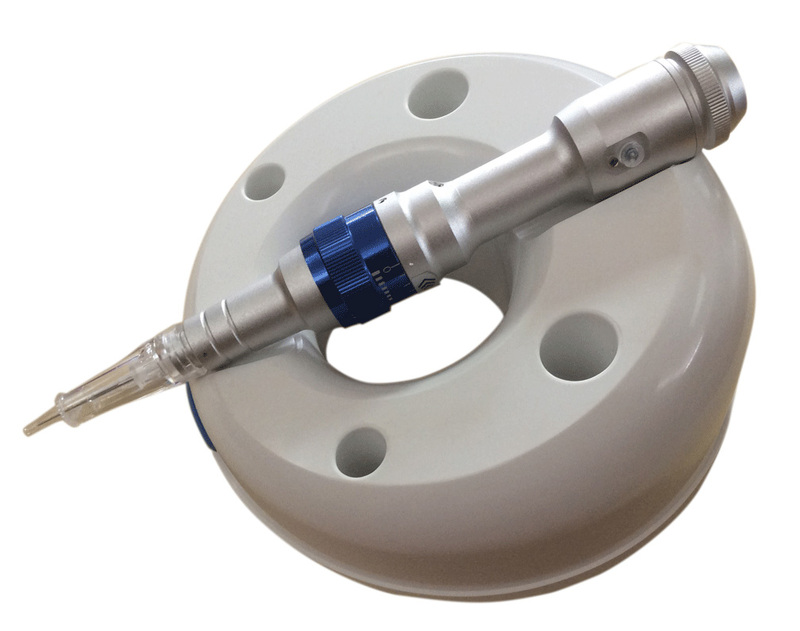 Magnetic cradle turns handpiece off when you set it inside. 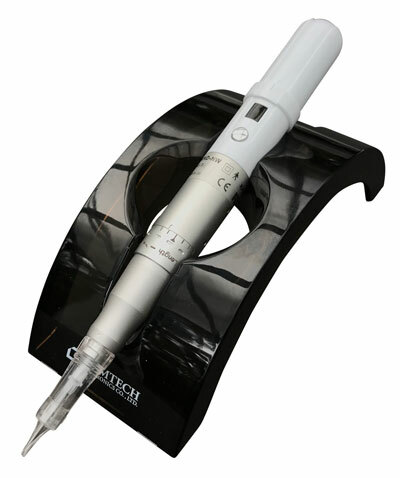 Handpiece starts again when you remove it from the cradle and at the same speed you were using. 3. Wall Plug with European and US Adapters. 8' cord is long for your convenience. Comes with cradle, hp and power cord. This new MICRO TOUCH PMU SKIN MASTER is all you will ever want in a machine. As you can see it does everything. Taking your client's picture, plays music, you can type client info, pigment used, topical, name, address, phone. Say goodby to cumbersome files Plus it works like a dream, smooth, noiseless, and so precise! I love all The SKIN MASTER machines in this group! They are all wonderful, but this one is just very special. The cartridges and accupuncture needles will just astound you! You will see that it leaves the skin smooth and virtually undamaged. I use it on 4 speed for brows. Give me a call and I will be glad to explain the machine to you. It comes with only one hand piece but you can buy an extra to be used for teaching with your student. Also it does skin needling...mesotherapy. Has # 12 cartridges for that and coming soon are the 18 & 45 MESO cartridges. 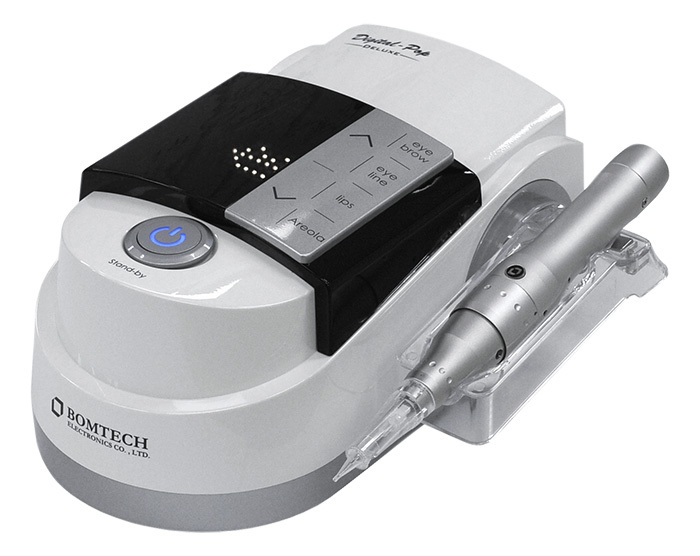 Permanent Makeup, Medical Microneedling, Precision Power and out-of-this-world design complete with 2 handpieces, music and camera make the MediTouch an incomparable value..